Plants that Can do What? How Do Pill-Bugs Roll Up in a Ball? Photosynthesis takes place all over the world, even in the ocean with phytoplankton. 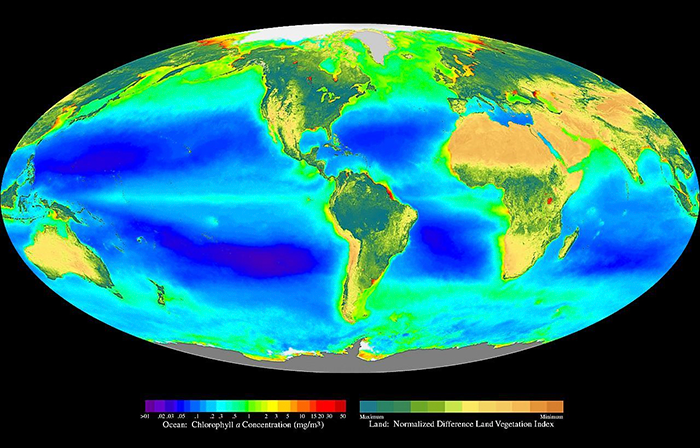 The dark red, green, and yellow colors on this image of Earth show the places in the ocean and on the land where lots of photosynthesis happens. God created plants for at least two very important purposes. First, plants were intended by God to serve as food for people and for animals. Genesis 1:29-31 says: “And God said, ‘See, I have given you every herb that yields seed which is on the face of all the earth, and every tree whose fruit yields seed; to you it shall be for food. Also, to every beast of the earth, to every bird of the air, and to everything that creeps on the earth, in which there is life, I have given every green herb for food.’” By providing us with food from crops and fruit trees, God shows His magnificent love for us. As Paul told the people of Lystra: “Nevertheless He did not leave Himself without witness, in that He did good, gave us rain from heaven and fruitful seasons, filling our hearts with food and gladness” (Acts 14:17). Second, plants also provide humans and animals with a very, very important thing: oxygen. After all, we can’t breathe if we don’t have oxygen! Photosynthesis is the process plants use to convert light energy fro m the Sun into chemical energy that can be used as fuel. 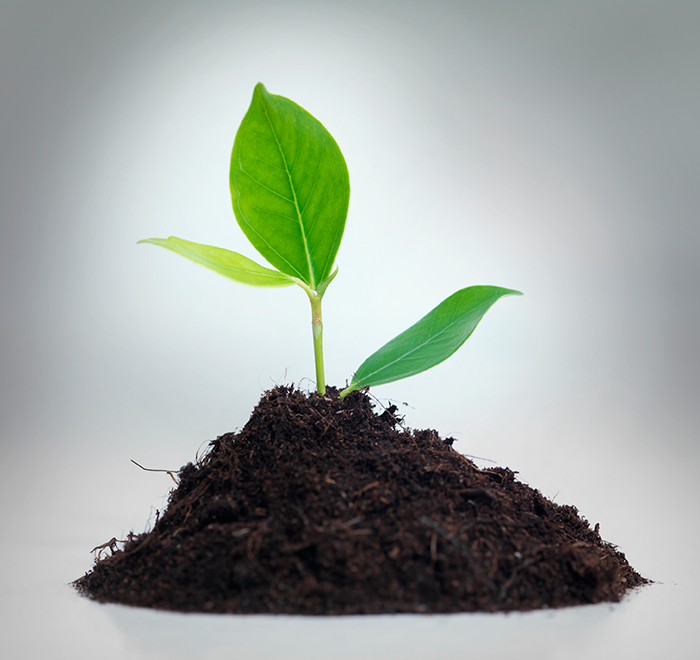 Plants use the carbon dioxide that humans and animals breathe out to create their food. But in doing so, they also release oxygen—which is just what we humans and the animals need to breathe! And what’s more, plant photosynthesis supplies the chemicals and most of the energy necessary for all life on Earth! Think about it: plants were designed to give human lungs what they need to work (oxygen), and human lungs were designed to give plants what they need to survive (carbon dioxide). Evolutionists cannot even begin to give a good explanation for such incredible complexity. The plant kingdom of the planet is truly amazing. But always understand that every marvelous aspect of plants sends a single, powerful message: plants were created by an awesome God. “How awesome are Your works!” (Psalm 66:3).